At Golden Living Point Loma, we make access to healthcare easy. We also work closely with home-health agencies who provide healthcare in the comfort and privacy of the residents own room. Residents call this seaside community a hidden treasure! We provide affordable living options and do not compromise with quality and strive for the wellness and enrichment of your lives. We guarantee personalized caring assistance and are passionate and dedicated about we do….our Seniors!!! Our senior living community is located just minutes from the heart of downtown San Diego, where the most famous gas lamp district is known for. Many of our residents enjoy the convenience of the neighboring parks, stores, and being within 10 minutes of the beach. We are dedicated to quality care for our residents, serving all residents with dignity, respect, and compassion. We encourage and support resident independence. Assisting residents to retain the ability to provide self-care is emphasized. 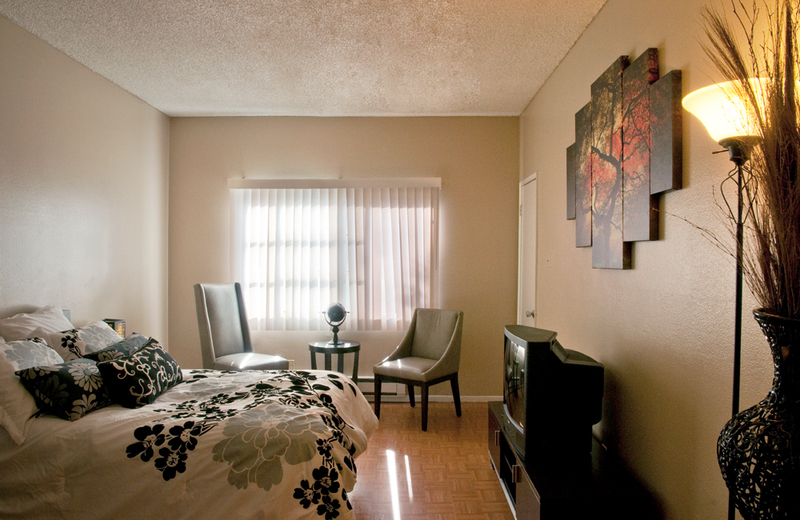 We see our residents as whole individuals. In addition to supportive physical care, we feel it is important to assist residents with their spiritual needs as well. Meeting the cultural needs of our residents is also important. We shall assist our residents with their activities of daily living while encouraging the highest level of independence as possible. We offer a wide variety of fun and stimulating activities which appropriate for the cognitive and physical abilities of the resident. Active participation in our activity program is encouraged; however, residents may choose the activities they would like to participate in. Residents call this seaside community a hidden treasure! Thank you for visiting Golden Living Website, located in Point Loma, CA. Our senior living community is located just minutes from the heart of downtown San Diego, where the most famous gas lamp district is known for. Minutes away from San Diego’s famous Sea World, San Diego Zoo, theaters, museums, shopping and so much more. 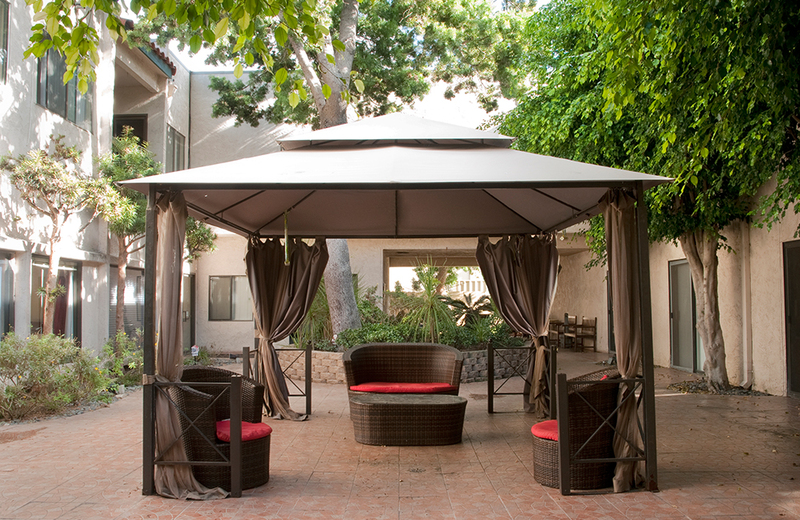 Many of our residents enjoy the convenience of the neighboring parks and stores, and within 10 minutes of the beach. Visiting relatives enjoy their stay at the Paradise Point Resort; a mile from the facility, or with other walking distance exclusive hotels around the area. You will love getting together with your friends or families for coffee or tea in our cozy cafe- it is one of our most popular spots. Plus, there is the peace of mind that comes with living here. In addition to independent living and personal care; physical therapy programs are available should the need arise. Our staff does not get hired because they are looking for a job; they are hired because of their commitment and passion of service to our residents. Memory Care is a term which includes residents afflicted with Dementia or Alzheimer’s disease. It also includes those residents who require 24/7 vigilance who might wander or have sundown syndrome. 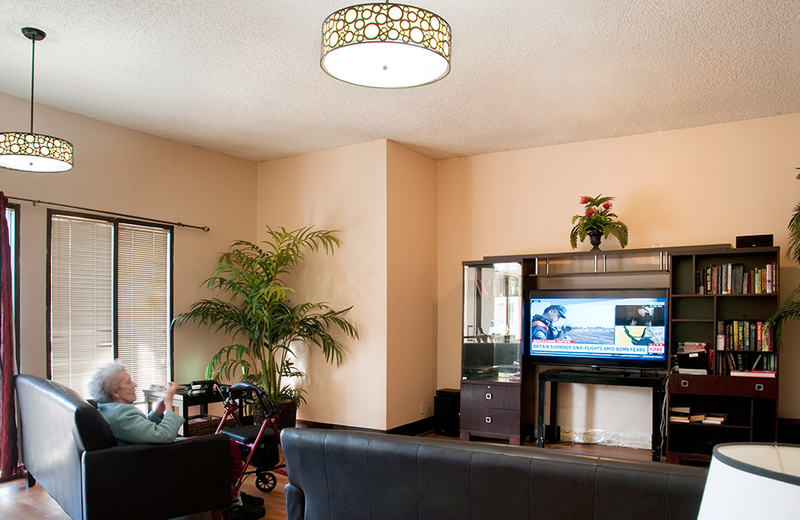 At Golden Living Point Loma, we make access to healthcare easy. We also work closely with home-health agencies who provide healthcare in the comfort and privacy of the residents own room. Meals are important not only for good nourishment and health, but also for socialization. 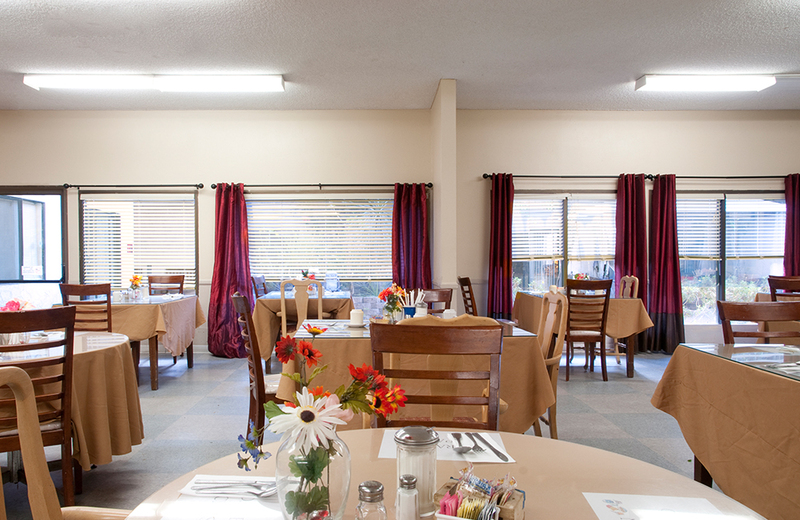 We strive for great food in an elegant dining setting. Our experienced chefs design menus that reflect quality, nutrition, variety and presentation. We offer a respite (retreat) program for seniors who need assisted living services on a short-term basis. This program allows residents to enjoy comfort and amenities of our facility while they recover from illness or surgery after hospital or rehab discharge. Your life is important to us, so we provide comfort, compassion and dignity for all of your end-of-life care needs. Special dietary needs like low-sodium; low-fat, and diabetic are easily accommodated. Our food service staff also provides tray services as needed.